Our history dates back to the mid 1970’s when the Booth family ran a grocery store in Dandenong. Discovering a gap to call on retailers offering a range of confectionery, the business was renamed Terry and Vics. Today with 4 branches, Accredited Distributors still remains serving the local community. Craig Bain is Managing Director of Accredited Distributors. 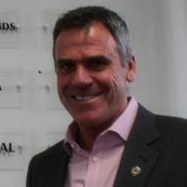 Stuart Hobbs is Executive Director at Accredited Distributors. Mauro Peron is Sales Manager at Accredited Distributors Dandenong. Dominic Celea is an Area Manager at Accredited Distributors Dandenong. Yvette Goulding is an Area Manager at Accredited Distributors Dandenong. Gary Coutts is an Area Manager at Accredited Distributors Dandenong. Filomena Folino is an Area Manager at Accredited Distributors Dandenong. Stella Newton is an Area Manager at Accredited Distributors Dandenong. Russell Rodda is an Area Manager at Accredited Distributors Dandenong.